Several significant changes to the Taupo Trout Fishery regulations will take effect from 1 July 2017. The options to get out fishing will increase with the addition of family season and senior season licences. Kiwi families will see greater flexibility to get their kids into fishing. For the first time in over 6 years there is a modest pricing increase across most categories. Child licence prices haven’t changed. Non-residents will see a change to the pricing for the week and whole season options to align with Fish and Game NZ. 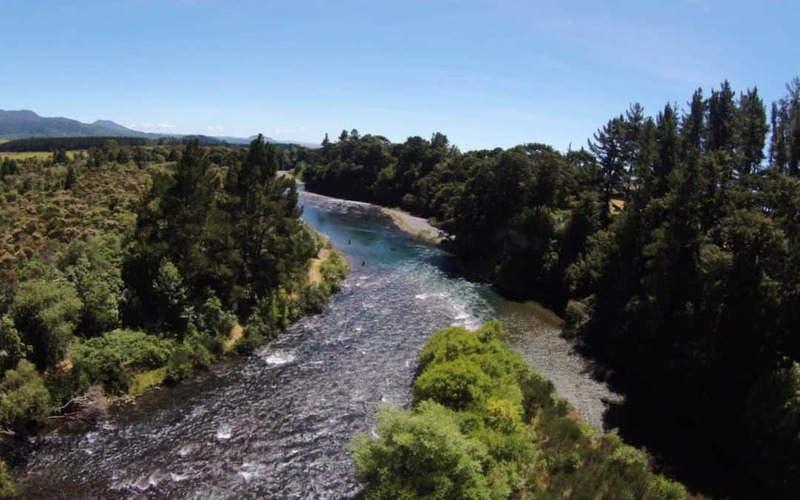 The extra funds will be used to help gain a better understanding of the demands for the Taupo Fishery District. Total catch bag will increase to 6. Maximum length will be reduced from 400 mm to 350 mm. This change allows for larger harvests and could lead to improving the quality of trout populations. We’ve seen a variable trend in trout size and condition over the last decade, which points to impacts on food source, mainly smelt. By increasing trout harvest we’re likely to see a higher abundance of smelt, which may result in improved trout size and condition. Reduced the stream mouth fly-fishing only restrictions from 300 m to 200 m. Historically boat and spin fish anglers have struggled to gauge the 300 m distance. We’ve introduced practical changes that align with familiar distances, common to Fish and Game regions. Distance is measured from the fixed landmark post and are white, black and yellow ringed posts. Some river mouths such as the Tongariro Delta will be marked with 2 posts. The definition of fly fishing has been amended to add guidance on leader length and fly weight. To help anglers to understand acceptable practice, we’ve amended the definition of fly-fishing. The definition now includes maximum leader length (6 metres), minimum fly line length (3 metres) and the purpose of any introduced weight is to facilitate the sinking of the leader. Items such as swivels and sinkers added to assist casting will no longer be permissible. the grandchildren of that person or those persons, who are aged under 18 years on 1 July, being the first day of the 12-month period, beginning on 1 July and ending on 30 June, that is stated in the licence. family licence means a licence that entitles the holder and the holder’s spouse or partner and, if any member of the holder’s family is accompanied by the holder or the holder’s spouse or partner, the member of the holder’s family, to take trout within the Taupo District (except at the Tongariro National Trout Centre) during the 12-month period, beginning on 1 July and ending on 30 June, that is stated in the licence. senior means a person who is aged 65 years or older on 1 July, being the first day of the 12-month period, beginning on 1 July and ending on 30 June, that is stated in the licence. non-resident means a person who is neither a New Zealand citizen nor a permanent resident (as those terms are defined in section 4 of the Immigration Act 2009). fly fishing means to fish for trout with a fly rod, fly reel, fly line, leader, and artificial fly or flies. fly line means any floating or sinking line used to facilitate casting that is at least three metres in length. child means a person who is aged under 18 years on 1 July, being the first day of the 12-month period, beginning on 1 July and ending on 30 June, that is stated in the licence. but may attach a strike indicator and may add weight to the leader to facilitate sinking. Weight added to the leader may only be in the form of split shot made from lead, bismuth or tungsten.